FREE One-Line Japanese Lesson Monitor!!! Lesson fee: normally from JPY500/25 minutes —> FREE! At EIGODO our Japanese teachers can offer you lessons not only in Japanese grammar and characters, but also in Japanese culture. Each lesson is taylor-made to your study needs and interests. You might want to get instructions on how to cook Japanese dishes, how to get around Tokyo subways, or information on places of interests where Japanese locals hang out. With EIGODO, you can access fun-packed lessons on-line 24/7, all year round, wherever you are. All our teachers are Japanese, who are fluent in both Japanese and English. 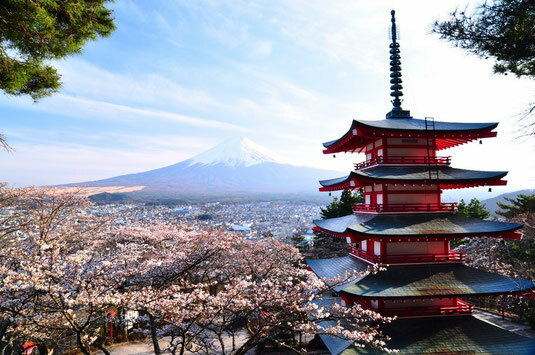 Our expert teachers will guide you step by step to mastering ‘living Japanese,’ not Japanese off stiff, often out of date textbooks. The best way to learn a language is to immerse yourself in it. With EIGODO you can do just that from the comfort of your home, wherever that may be in the world. If any of these sounds like you, we have good news! Right now we are offering one lucky person the chance to win free lessons for a whole year. Don’t miss out! Upload a promotional video of yourself explaining what you would like to do once you have mastered Japanese then send us an E-Mail at customer@eigodo.jp with the link to your promo video, stating your name, place of origin (nationality) and contact details. All promo videos entered will be reviewed by EIGODO management and teachers before a winner is selected. The lucky winner will receive a free 25-minute lesson for every EIGODO promo video s/he broadcasts on YouTube up to a year. Your EIGODO promo videos just need to be something about Japan; you can talk about what you like and what you find strange about Japan, and you can even include a snippet of your actual lesson. There is no limit to how many EIGODO promo videos you can broadcast via YouTube i.e. the number of lessons you take within the year. The competition closes on 31 March 2016. The winner will be contacted by E-Mail after the closing date.